The potato - the ammunition of the true professional! 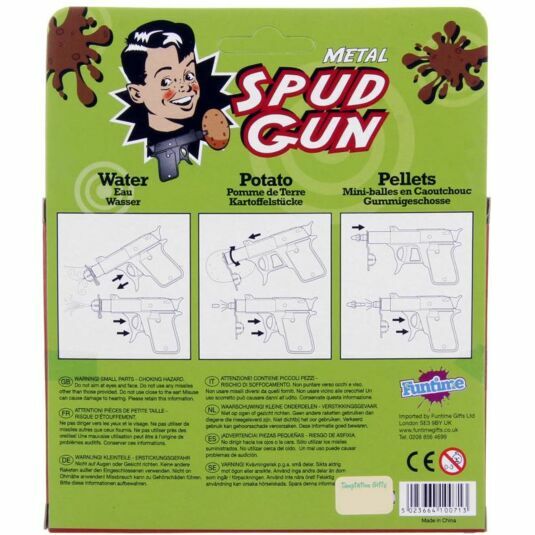 Punch the barrel of this metal potato gun into a common spud and, with a twisting motion, break off a piece of potato to load yourself up. Then all it takes is a pull of the trigger to send the little pellet shooting out! 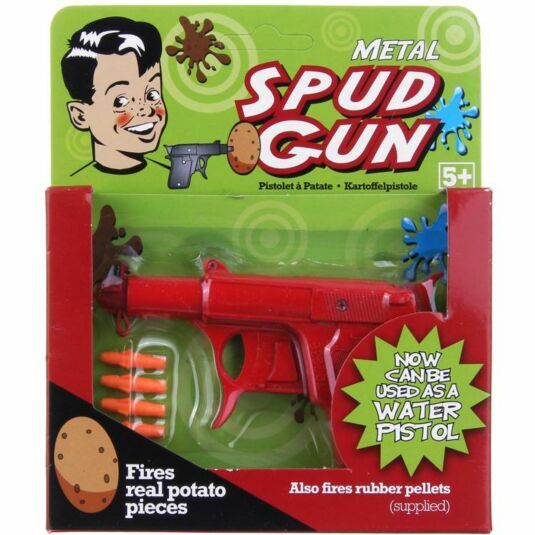 This sturdy pistol does not only fire potato bullets, it also fires rubber pellets (which are provided) and can also be used as a water pistol. Please not: this product is not suitable for children under 5 years old.